Get a little inspiration for your writing, drawing, and more with this pencil case featuring groundbreaking artist Frida Kahlo! 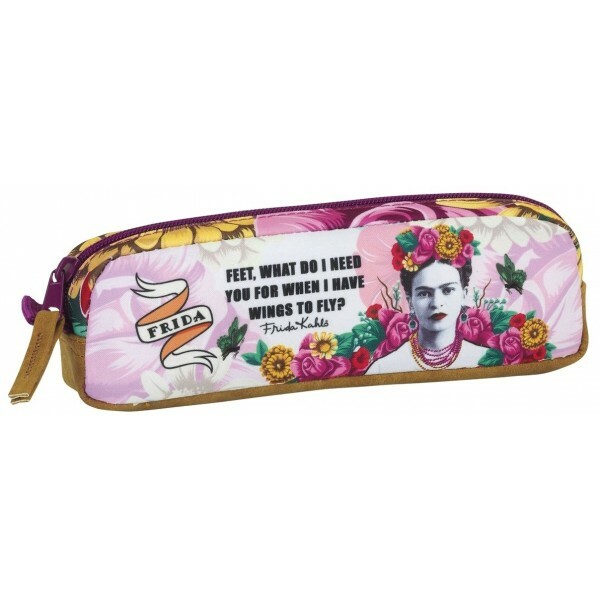 This 9 by 2 by 3 inch pencil case has plenty of room for all the supplies you need, and features vibrant images inspired by Kahlo's art and the quote, "Feet, what do I need you for when I have wings to fly?" For more empowering school supplies for Mighty Girls of all ages, visit our School Supplies Collection.